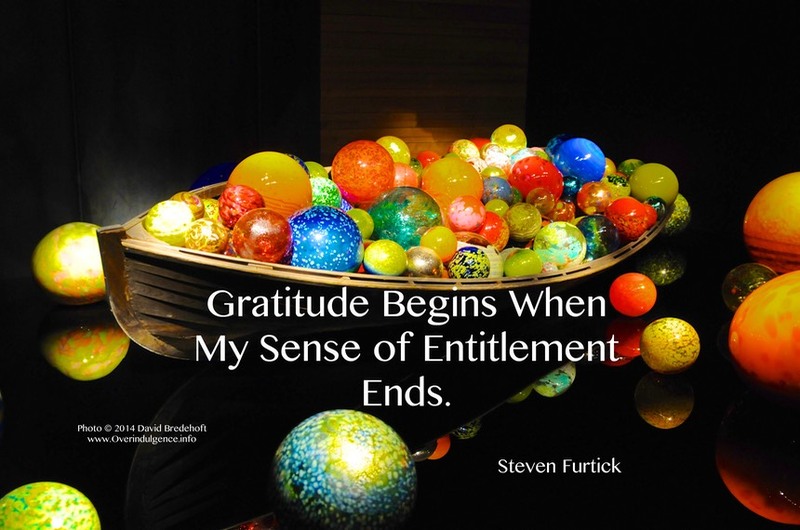 I often think of entitlement and gratitude as a two-sided coin. On one side of the coin is a sense of entitlement – “the belief that one is inherently deserving of privileges or special treatment”, on the other side is a sense of gratitude – “a feeling of thanks and appreciation”. We know that childhood overindulgence leads to a sense of psychological entitlement. We found that the more parents and grandparents overindulge their children, when they grew up they felt entitled to everything and deserved more than others. This is especially true when parents “Overnurtured” them or used “Soft structure”. 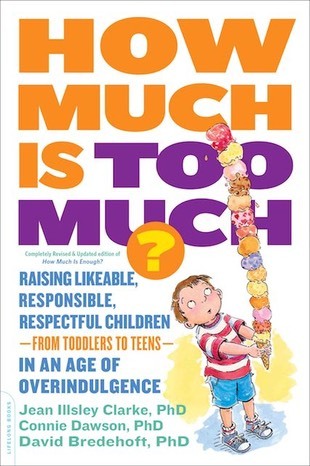 Overnurture is doing things that children should be doing for themselves, smothering them with love, allowing them too many privileges, and making sure they were always entertained. Soft Structure is not having rules or enforcing rules. It is about lack of chores, allowing children to dominate the family, or having too much freedom (click here for a free handout). In a study on psychological entitlement and romantic relationships, researchers found that entitlement had a negative impact. Those high in entitlement were less loyal, had lower empathy, and greater difficulty taking the partner’s perspective (p.39). In a study on entitlement and aggression, researchers found those high in psychological entitlement were more aggressive toward those who criticized them (p.40). Gratitude is a developmental process that takes several years for children to master. We really do not see gratitude being expressed on a regular basis until sometime in middle childhood. Researchers found that few children (21%) younger than 6 years of age expressed thanks to adults on their own when given candy compared to more than 80% of children 10 years of age or older. Researchers believe that gratitude begins to solidify somewhere between the ages of 7 and 10 (p.215). In another experiment, college students were asked to keep “gratitude journals”. On any given week these students exercised more, had fewer physical symptoms, felt better about life/themselves, and were more optimistic about the future compared to students in the other two conditions; ones who kept a daily diary, or tracked daily hassles. In a second daily gratitude journal-keeping study, the same researchers found higher reports of alertness, enthusiasm, determination, attentiveness and energy. Further, participants in the daily gratitude condition were more likely to reach out and help others in need (p.216). We should count our blessings rather than focus on our bad fortune or disadvantages! I believe that an Attitude of Gratitude can be learned. If it is learned, then parents can actively use strategies to teach and raise grateful children. Here are 13 you can try. Remember - you are your children’s #1 role model. If you want to have grateful children you will need to be the grateful role model. Find every opportunity to demonstrate your gratefulness, but you need to do it authentically. Children see everything and soak it up. Parents are often shocked at what their children learn, much of it from watching them. So don’t just talk the grateful talk…..walk the grateful walk. It is important to teach your children to say “Thank You”. Start teaching them when they are young (age 3) and continue until they say “Thank You” without reminders. It is important that it becomes a habit. Also, they need to be sincere when they say “Thank You.” Don’t encourage a fake “Thank You” if the child doesn’t like something. Sometimes we forget how many times we need to do something before it becomes automatic, before it becomes a good habit. When teaching your children to say “Thank You” or any other “Grateful Habit” you will need to encourage, remind, and give them positive strokes for it many, many, many times. Once or twice does not a habit make. Recent research suggests that it takes on average 66 days to create a habit. And this is for adults. What must it be for a 4 or 5 year old? What about a teenager? I wager you it is a lot longer! Insist on manners. When your son is being disrespectful or impolite, correct him or have him do a redo. When your daughter is being rude, do something. If not, in the long run it will cost them. Kids who are disrespectful and rude are generally not well liked. I may be old-fashioned, but to me the magic words never go out of fashion, “Please”, “Thank You”, “Excuse Me”. I think Miss Manners gets it right. You should teach and insist that your children hand-write thank-you’s. It’s not hard once you start. One sentence per grade is a good rule of thumb. Send them out promptly. If your children are very young, have them draw a picture with crayons and sign it best as they are able. That will be a wonderful thank you any grandparent will cherish. As they get older have thank you cards available for them to use. I believe a good family rule about giving gifts to grandchildren, nephews, nieces etc. is No “Thank You”, No More Gifts. Oprah Winfrey knows about the power of gratitude and writing it down. The research on this is convincing too (p. 213). So get into the habit. Write it down. Be a role model for your children. Share what you’ve written with them. Encourage them to start their own gratitude journal. It will change their lives! Have them make a list of 3 or more things that they are grateful for. Right now. This minute. They will find that it is difficult to stay focused on the negative when the positive is right there in front of them. My coauthor Jean Illsley Clarke taught me a life lesson many years ago - one she calls “Celebrations”. She would start group meetings with “Celebrations”. Then everyone shared one or more things they were celebrating in the last week. It could be large or small. Amazingly, it sets a positive tone for everything to come after. Make “Celebrations” part of your daily family routine. Try it at dinner tonight. Occasionally ask your children to pay “all” or “part”. This is a valuable lesson for them to learn. It is one of the most valuable lessons I learned from my mother. If you want something bad enough you will have to work for it. I was ten years old and wanted a new shiny bicycle. Mom and dad bought me a used bike the year before, but I wanted a new one. Mom told me, “Dave, the bike we bought you for Christmas was all we could afford. If you want a new one you will have to earn it. I understand they are hiring paperboys down at the newspaper. You could get a job and earn the money yourself.” And that’s exactly what I did. Thank you Mom! Encourage your children to give back. I am a fan of Nathan Dungan’s simple but elegant concept of “Share” “Save” “Spend”. All the money children receive from gifts, allowance, work etc. are first put into one pot. Then parents decide what percentage of the pot their children will “Share”, what percentage they will “Save”, and what percentage they will “Save”. Next, I suggest you have your children, explore and find a charity or cause they are excited about. They will become as passionate as the 18,000 students that got together in St. Paul to celebrate “We Day”. Their causes ranged from buying goats for women in Kenya to raising money for housing for homeless students. Remember - you are your children’s #1 role model. Lead by example. Lead a Life of Service. Many adults do this by volunteering. Find an organization or cause you are passionate about. While at Concordia University - St. Paul, for 25 years, my wife and I along with fellow colleagues and students volunteered to make and serve breakfast for 300-400 homeless men, women, and children once a month at the Dorothy Day Center in St. Paul. Never in all of those years did I walk away thinking, “Why am I doing this?” Instead, something extraordinary happened; my life was enriched. Each time I felt an even deeper sense of gratitude for my life and everyone in it. 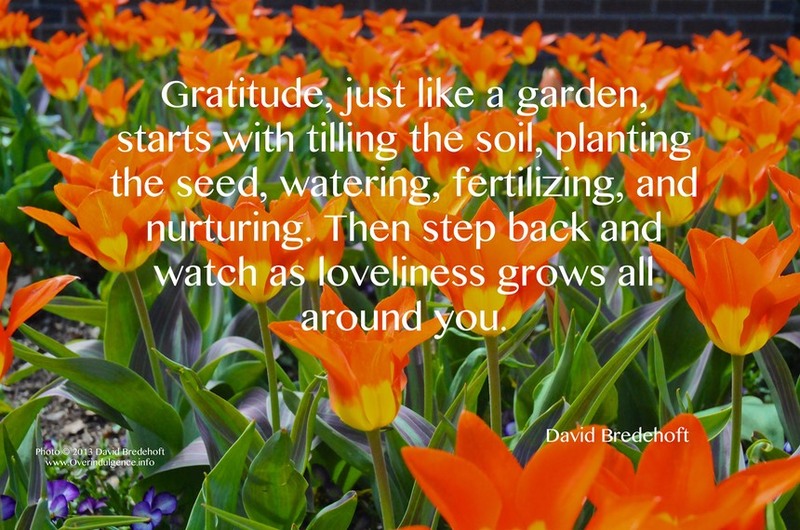 Gratitude, just like a garden, starts with tilling the soil, planting the seed, watering, fertilizing, and nurturing. Then step back and watch as loveliness grows all around you. Photos and graphics by David Bredehoft, Steven Furtick quote from AZQuotes.com.